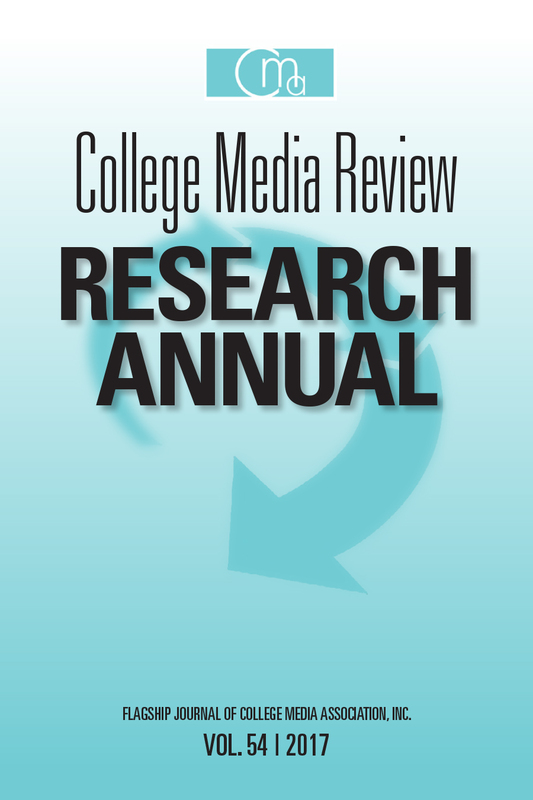 The College Media Association is accepting submissions of original, non-published research in the form of either abstracts or research papers on all aspects of college media and advising college media. 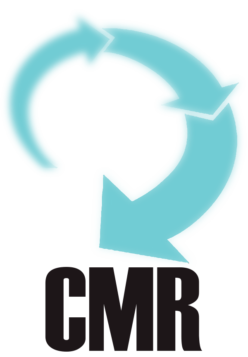 Papers will undergo a blind review process, and top research will be presented at the 2017 Fall National College Media Convention in Dallas (Oct. 25-29). Submission deadline is August 1. 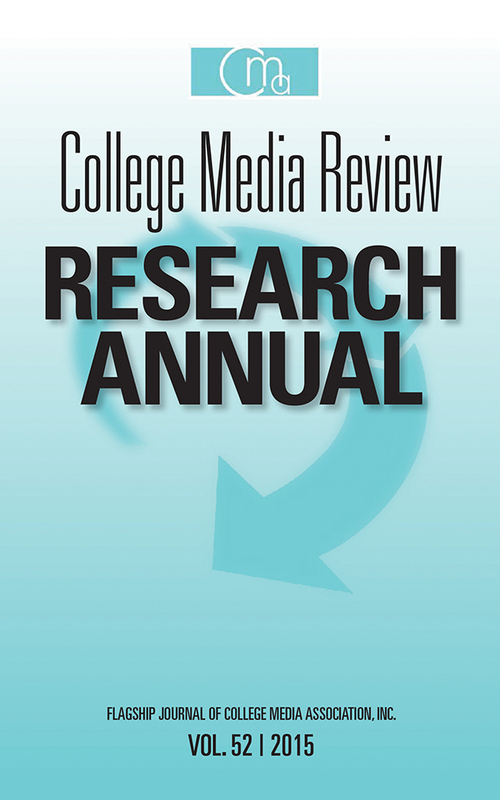 College Media research is published online at CMReview.org and in print through the CMA online bookstore. Either abstracts or full-length research papers are acceptable. Abstracts should be between 250 and 500 words. Full papers should be no longer than 25 pages, excluding references, tables and appendices. If accepted, full papers are due by August 31. 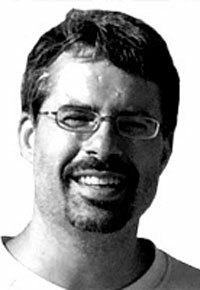 Papers are welcome on any topic that addresses an issue surrounding college media. Submissions from all theoretical and methodological perspectives are invited. We particularly encourage submissions that are theoretically based and clearly relate to a current issue in college media. The employment outlook in any field is dictated by the balance of supply and demand. However, the available supply of college graduates and the demand for the graduates to fill a particular job category in a field can vary greatly. According to a 2012 study by Becker, Vlad and Kalpen, 51,784 bachelor’s degrees were granted in the U.S. in 2011, and that number was only slightly larger than the year before. They also noted that during 2011, 203,561 students were enrolled in bachelor’s programs, a decline of .05 percent from the year before. Undergraduate students are studying a growing number of specializations within the mass communication field. 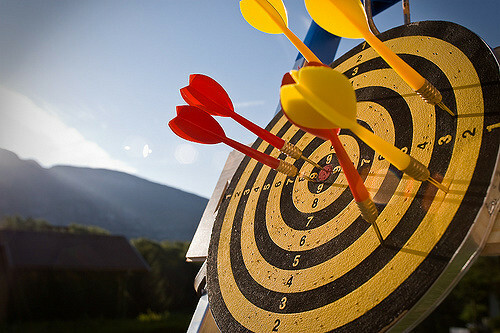 This reflects changes in the terms used to describe the specializations, as well as a growth in those areas as a result of newer technologies. 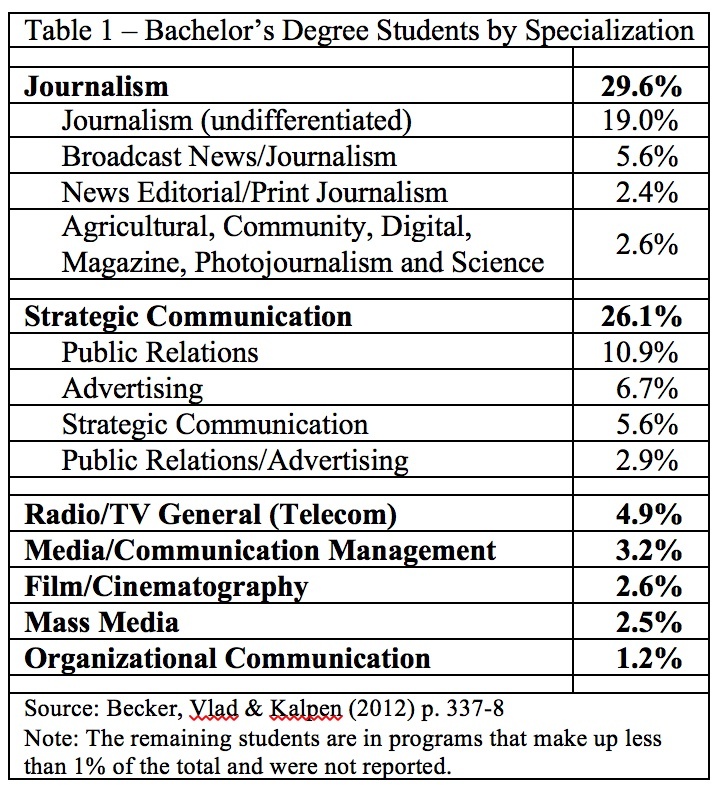 As noted in Table 1, journalism, once the dominant specialization in the field, now accounts for slightly less than 30 percent of the students. The next largest group of students is located in strategic communication programs. 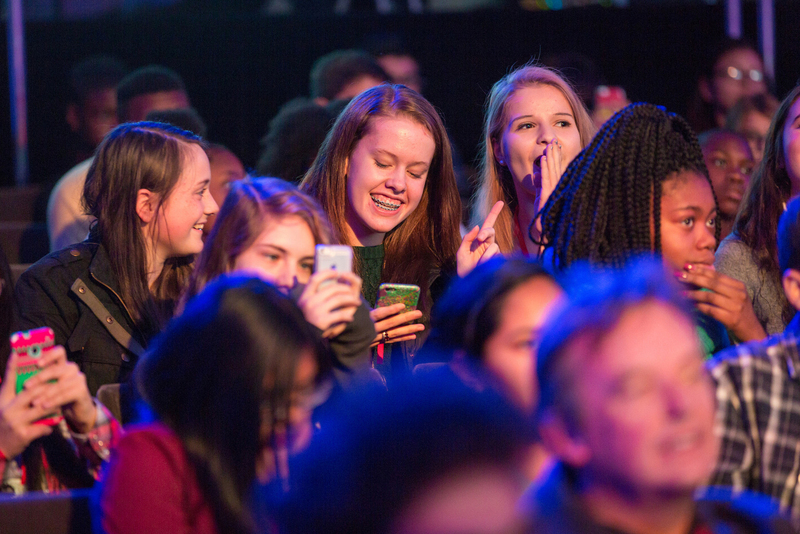 Students studying radio/television generally made up 4.9 percent. 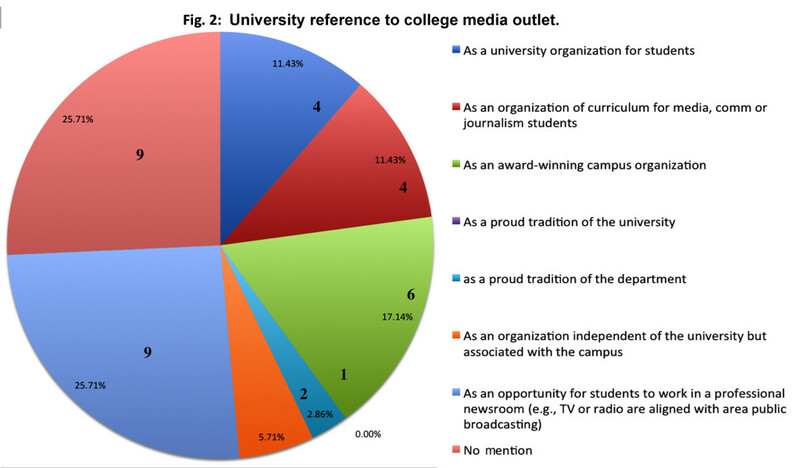 Clearly the concentration of students is located in the areas of journalism and strategic communications, with significantly smaller numbers in the telecommunications field. 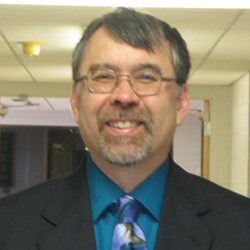 Author College Media ReviewPosted on April 14, 2014 May 14, 2014 Categories College Media, ResearchLeave a comment on I’ve graduated… now what?